Until the 20th century, they were Europe’s biggest imperial powers. Today, France, the UK, Belgium, Spain, Germany and Portugal are spending the bulk of their official development assistance (ODA) budgets on their former colonies. For France, the world’s fourth biggest donor, ODA is aimed at its former colonies in Africa. According to the latest data from the Organisation for Economic Cooperation and Development (OECD), the top seven countries receiving French aid are Morocco, China, Vietnam, Ivory Coast, Colombia, Senegal and Kenya. Of those, only China, Colombia and Kenya were not part of France’s former empire. It is unclear why China is a relatively large recipient of French aid. The Asian giant is also an important provider of aid to poorer countries, especially in Africa. Since 2014, Francophonie has been the official goal of French development policy. First, after the last cabinet reshuffle in April 2014, the portfolios of development and Francophonie were merged into one, led by the new secretary of state, Annick Girardin. That same year, France adopted its first legislation on development aid. It focused ODA on priority regions – sub-Saharan Africa and the southern Mediterranean get 85% of French aid. Francophonie, as a goal of development policy, is part of the law. “It’s politically easier to target Francophonie than a former colonial empire, but at the end it’s exactly the same,” said Reboul. Within this region, the French government has identified 16 poor countries: Benin, Burkina Faso, Burundi, Djibouti, Comoros, Ghana, Guinea, Madagascar, Mali, Mauritania, Niger, Central African Republic, the Democratic Republic of the Congo (DRC), Chad, Togo and Senegal. These 16 countries, identified as priorities because of their poverty, will receive at least 50% of available aid grants. Among these 16 priority countries, only Ghana and Mauritania do not have French as an official language. But all of them are part of the International Organisation of the Francophonie. More important, only three of them were not French territories. Congo and Burundi were colonised by Belgium, and Ghana was ruled by the UK. “Actually, Ghana is maybe the only example in that list [that] doesn’t have anything to do with Francophonie, and has a level of development far above the rest,” says Reboul. Middle-income countries in Asia, Latin America and the Caribbean are also supported by French development policy, but through loans, or economic partnership more than grants. But the figures can be confusing. In 2012, within the top 10 recipients of French ODA, none were targeted as priorities, and most of them were fast-developing, such as Ivory Coast, Brazil, China, Morocco and Vietnam. “This gap can be explained by France having very strong volumes of loans and very weak volumes of grants in its ODA,” explained Reboul. The share of grants in the overall French ODA is modest. In 2013, out of the €9.8bn ($10.49bn) for public development aid, only €312m was in the form of grants for bilateral projects, or 3.2% of the French budget. The UK is Europe’s leading aid donor. Last year, Britain gave £13bn ($19.4bn), making it the second largest aid donor in the world, after the US. The UK is also one of only five member states to have met the UN target of 0.7% for ODA. However, a 49-page report on the UK’s ODA makes no mention of guidelines under which decision-makers favour certain recipient countries and not others. According to latest OECD data, the top seven countries where UK aid goes are Pakistan, Ethiopia, India, Bangladesh, Nigeria, Afghanistan and Tanzania. Of UK aid recipients, only Afghanistan and Ethiopia have not been British colonies. Speaking to EurActiv, the Department for International Aid (DfID) recognised that of the 20 countries that received most UK aid in 2013, seven are former British colonies and one is a British Overseas Territory. A spokesperson said it was up to the next government to define priorities for ODA in the same way as the outgoing cabinet did in 2011. At that time, it was mentioned that “as a result of the review [the UK government has] decided to focus aid more tightly on the countries where the UK is well placed to have a significant long-term impact on poverty”. Belgium, a relatively small country of 11 million people, is the 14th biggest aid donor in the world, according to OECD data. The top seven countries to which Belgian aid are DRC, Burundi, Rwanda, the Palestinian territories, Mali, Mozambique and Vietnam. 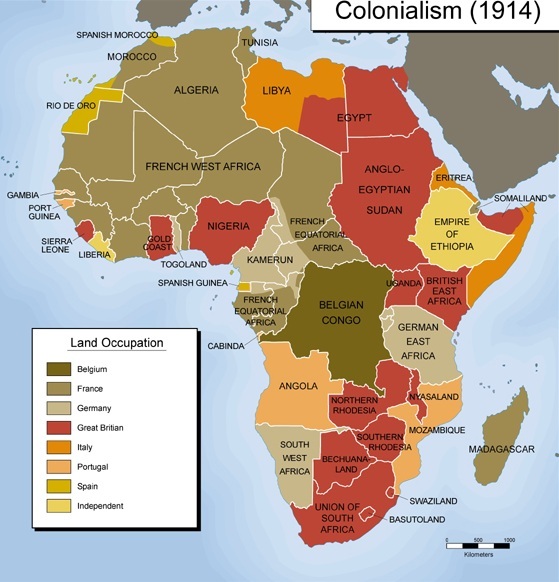 The first three, which receive the vast majority of Belgian aid, are former colonies. Belgian authorities stress that the country’s ODA has increased by 3.3% compared with 2013, and has stayed at 0.45%, which is slightly above the EU average of 0.42%. According to the minister of development cooperation, Alexander De Croo, the Belgian aid effort should concentrate more on the least developed countries, as well as on sub-Saharan Africa. However, Belgium’s relationship with its former colonies is far from an easy one. With the DRC, a 2008 visit by Karel De Gucht, Belgium’s former foreign minister, exposed the lack of transparency in the exploitation of the country’s mineral resources, calling it “a country where the state is absent”. De Gucht was subsequently declared persona non grata, and it took a long time before fences were mended. With Rwanda, relations are even worse. In January 2015, De Croo announced his intention to place stricter conditions on assistance to developing countries, following his government’s decision to suspend part of its aid to Rwanda. Belgium decided to withhold €40m in aid, after deciding that the Rwandan government had failed to meet commitments to increasing transparency, good governance and freedom of the press. But the real issue appears to be that Rwanda’s president, Paul Kagame, accused Belgium, along with France, of “direct involvement” in the 1994 genocide. Some 800,000 minority Tutsis and moderate Hutus were killed in a four-month killing spree triggered by the assassination of Rwanda’s then-president, the Hutu Juvénal Habyarimana. The first seven beneficiaries of Spanish aid are Peru, Morocco, Colombia, El Salvador, Nicaragua, Ecuador and Bolivia. Only Morocco wasn’t a Spanish colony. However, Spain has interests in the Western Sahara, a disputed territory bordering Morocco, which it ruled between 1884 and 1975. Asked if Spain was giving priority to former Spanish colonies in Latin America, an official declined to answer, and referred instead to documents from the country’s Agency for International Cooperation (AECID), a government department subordinate to the ministry of foreign affairs. Among the criteria for disbursing Spanish aid is the need to contribute where international effort is deemed insufficient, and where the Spanish impact could be greater. Due to the economic crisis, Spain has dramatically reduced its ODA. Consequently, the concept of “geographical concentration” has been introduced, in order to focus on specific regions and on a smaller number of countries. Instead of the 50 countries in the so-called third master plan of Spanish development aid for 2009-12, there were only 23 countries in the fourth master plan (2013-16). “This is why we shall concentrate in geographic areas where Spain has more strategic interest: Latin America, northern Africa, western and sub-Saharan Africa,” wrote José Manuel García Margallo in the introduction to the fourth master plan. But the most striking example is Portugal, where almost all the country’s aid goes to former colonies. The first seven are Cabo Verde, Mozambique, Angola, East Timor, São Tome and Principe and Guinea Bissau, all of them former Portuguese colonies. On the other extreme, Germany, a country which has had fewer colonies than any of the other colonial empires, does not prioritise its former territories. Germany transferred €10.6bn development assistance to countries aside from its former colonies in 2013. The top recipient is Afghanistan with €459.7m, followed by India (€450.4m), China (€315m), and Syria (€257.1m). Far lower amounts go to former German colonies. Tanzania receives €139.2m, Cameroon €89.4m, and Namibia €27.5m. The amount paid to Togo makes up €23.2m, to Samoa €3.8m. NGOs criticise the German government for paying development assistance to the wrong countries. Instead, it should focus on the fight against extreme poverty in its budget allocation, the campaigning organisation One said. Half the funds should be given to least developed countries (LDCs), referring to the 48 poorest countries in the world. “To this day, many top receivers of German development aid continue to be G20 countries and newly industrialised countries,” Andreas Hübers, a political adviser at One told EurActiv Germany.